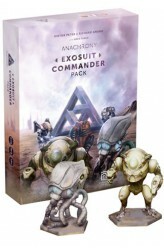 From the designers of Trickerion: It is the late 26th century. Earth is recovering from a catastrophic explosion that exterminated the majority of the population centuries ago and made most of the surface uninhabitable due to unearthly weather conditions. 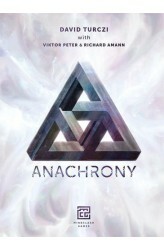 The surviving humans organized along four radically different ideologies, called Paths, to rebuild the world as they see fit: Harmony, Dominance, Progress and Salvation. Followers of the four Paths live in a fragile peace, but in almost complete isolation next to each other. Their only meeting point is the last major city on Earth, now just known as the Capital. By powering up the mysterious Time Rifts that opened in the wake of the cataclysm, each Path is able to reach back to specific moments in their past. Doing so can great.. Origin is the infinite source of all that creates Cerebria, the Inside World. Yet nothing can exist forever unnamed and untamed, two opposing forces emerged in Cerebria: Bliss and Gloom, the Shapers, locked in eternal struggle to form the land to their own image. The agents of the Shapers are the Spirits, powerful entities who use the energies of Willpower, provided by Origin. The Spirits invoke Emotions inhabiting Cerebria in their service to gain power over the Five Realms: the Valley of Motives, the Willow of Values, the Network of Thoughts, the Cradle of Senses, and the Land of Desires. By increasing their influence over the land, Bliss and Gloom build the Identity, leading it through stages of Revelations. 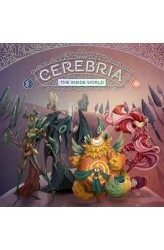 Cerebria is in constant flux, only during a Revelation can the Spirits l..